Do know about constructive triangles? There are FIVE boxes of constructive triangles? All straight-line shapes are made from triangles? 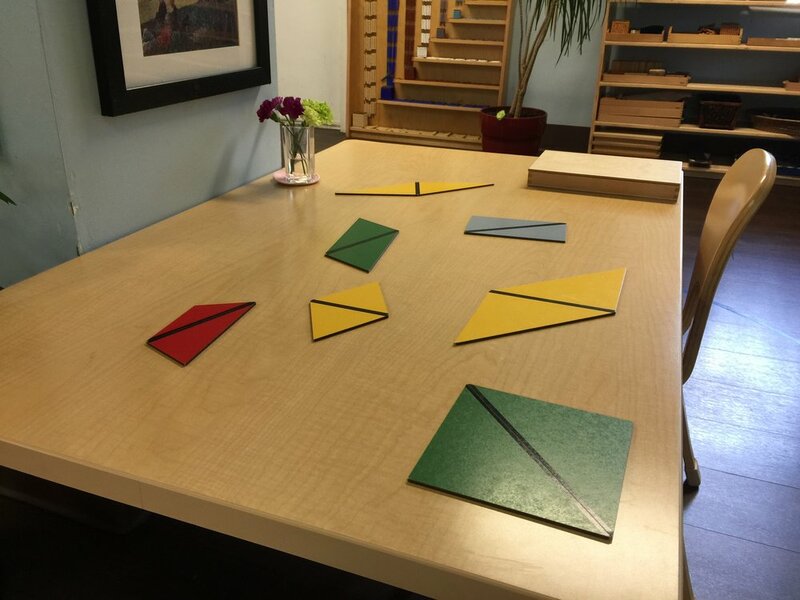 The constructive triangles are sensorial materials in the Primary classrooms? The materials allow the child to compare similarities and differences by seeing, touching, tracing, holding and manipulating the shapes? They were designed to allow the child to experience geometric concepts and “discover” them on his/her own? Dr. Maria Montessori created an environment (the prepared environment) rich with investigations that lay the groundwork for connections to be made later on with incredible ease of understanding. Previous Previous post: Forty-Eight Hours, Folks! Next Next post: Down on the Farm!